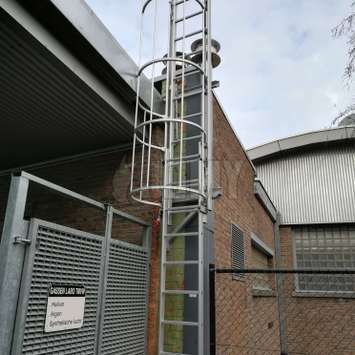 check Bottom flight(s) of rungs slides down when opened. 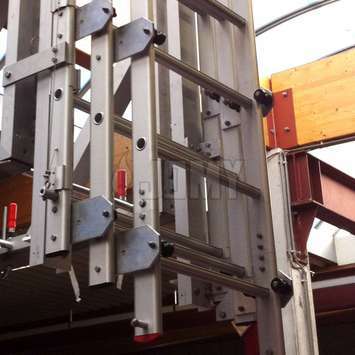 check Movement is balanced out by counter-weights for a soft deployment and easy closing. check Single or multiple slides. 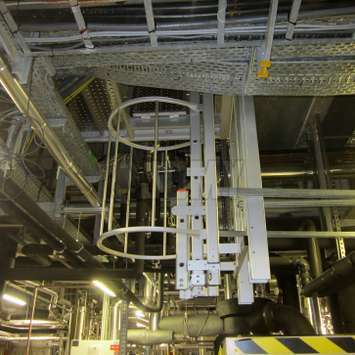 info Please note that these measurements can be made specific to your own requirements by our engineering department. 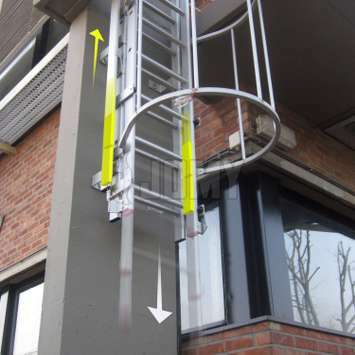 After it has been unlocked, the movable flight(s) of the ladder slides down smoothly thanks to its couterbalanced system. 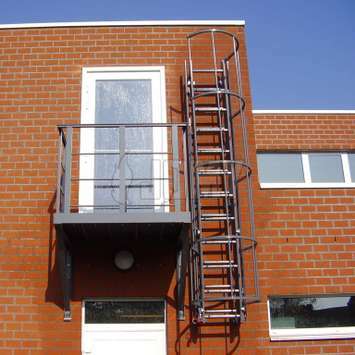 The ladder can then be easily closed by one hand only. 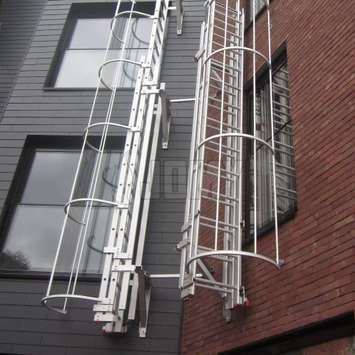 Due to its height, the multislide ladder may require the use of a stick for a complete closing. 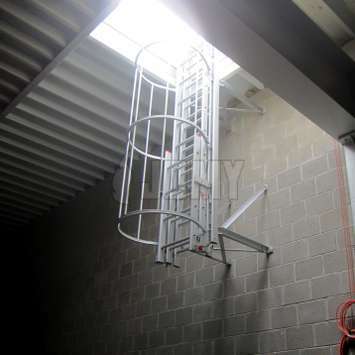 The ladder can be equipped with an opening handle placed at the desired location, for example: at the top of the ladder so it cannot be accessed from the ground, or inside the building and through the wall, etc. 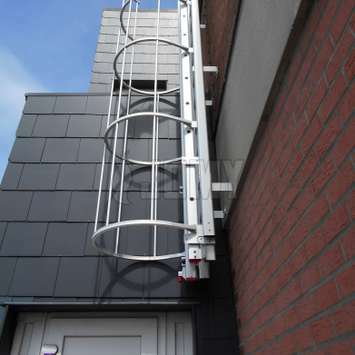 The opening mechanism can also be coupled with an alarm system for an even greater protection. 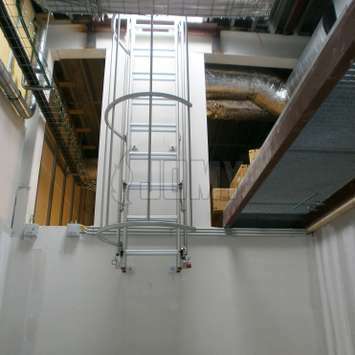 When closed the multislide ladder can take a height of only 6' 6.8" / 2 m (min.)! 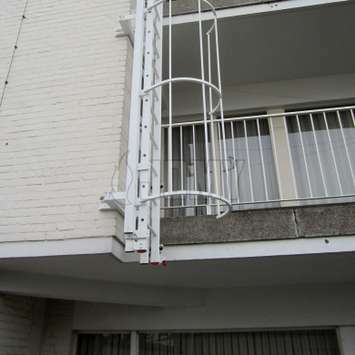 The closed height of a single counterbalanced ladder is only equal to the clearance height + 2' 9" (84 cm). 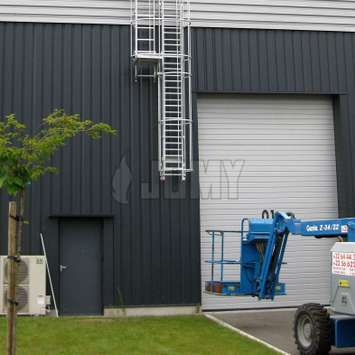 There are already more than 10.000 JOMY drop-down ladders installed all over the world to the great satisfaction of our customers. 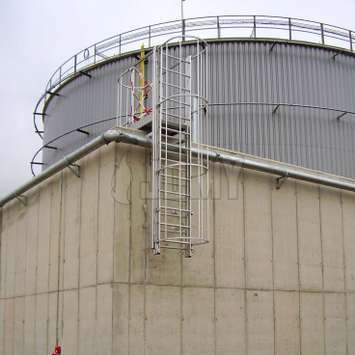 Thanks to the detailed and ingenious engineering of the counterbalanced system and the use of non-corrosive materials, these ladders are guaranteed to be reliable in all kinds of weather and environments. 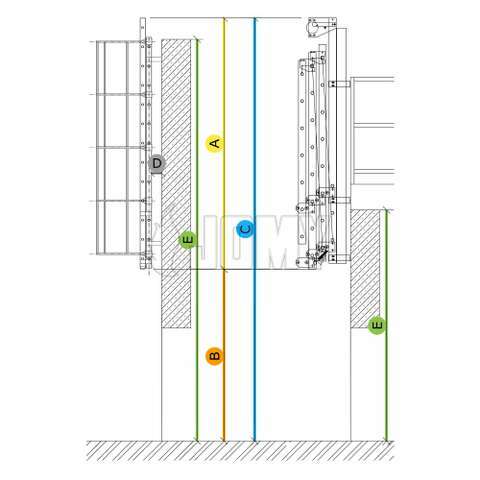 Study of your needs and measurements on project location. Direct shipping from our factory in Wihogne. 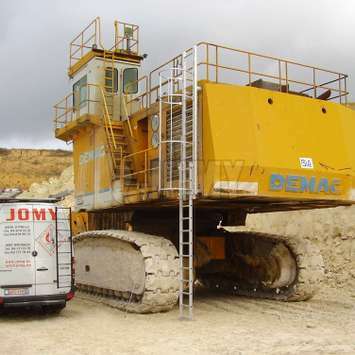 Installation by our own technicians, under the supervision of JOMY engineers.